New home in Hidden Brooke. 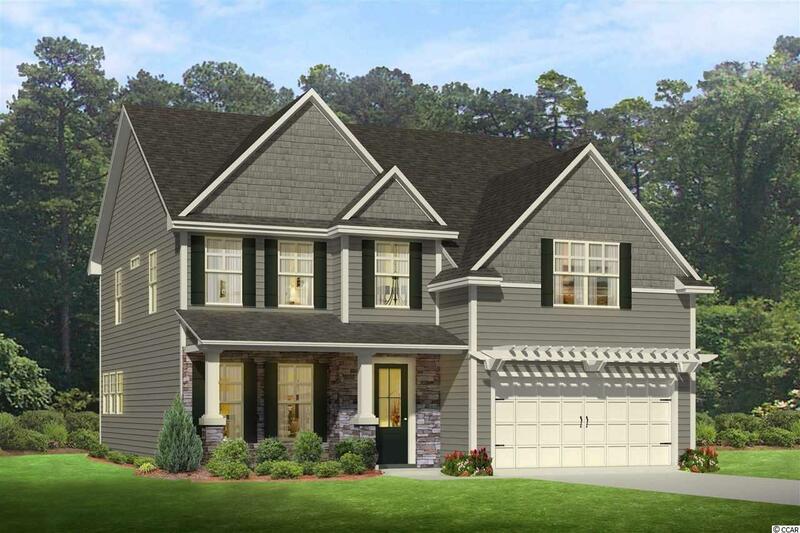 Forrester floor plan w/ big front porch. The Owner's Suite fits a King size bed nicely, separate 5' shower & Double Vanity. Stainless Steel appliances, Granite counter tops in Kitchen, upgraded cabinets, hardwood floors in all main areas. Gas fired furnace with electric AC unit and gas water heater, 2 car garage, private lot backing up to protected woods. Hidden Brooke is a beautiful community with a 1/2 mile tree lined drive from the entrance to our homes. Minutes away from Highway 31 which provides quick and easy access to all of the Grand Strand's offerings: dining, entertainment, shopping and golf! Tranquil setting just a short drive to the beach. Pictures are of a furnished model in a near by community. The amenity center and pool are now open. Street Additional Info Lot 1255 Forrester "F"